Three undergraduate painting students Diana Augustine, Kristen Valle and William Hogan have been invited to particle in Florida State’s First Lady’s Tea. This event will be held at the President’s House and grounds on Tuesday, February 13 from 2-4pm. 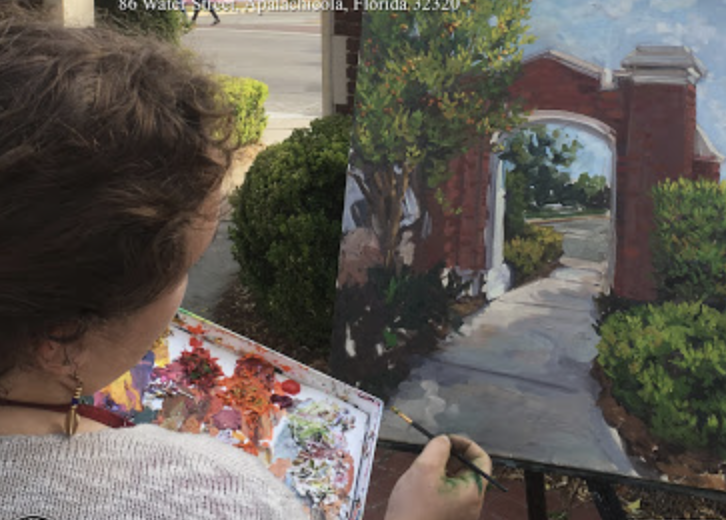 The art students will be painting an FSU landmark on-site a (the house or part of the gardens on the grounds) during the event. Last year the student artists’ works, and the audience’s interactions with them, were a highlight of the event.